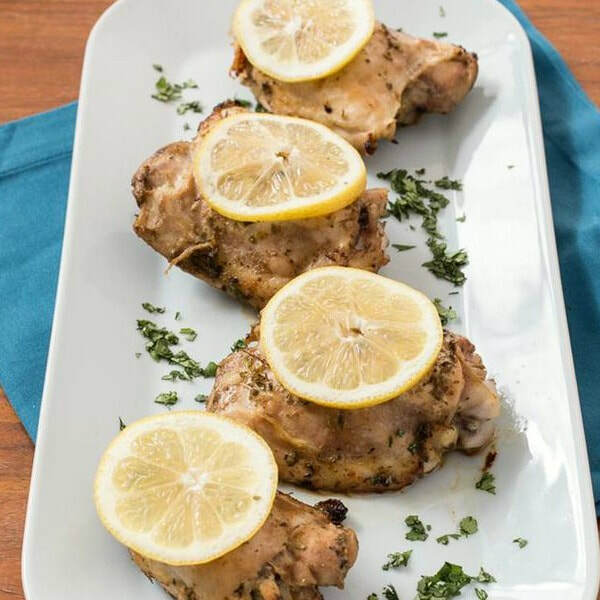 This simple Citrus Chicken recipe is sure to be a family favorite. Lemon juice and spices add flavor without adding salt or fat. This trick is a great way to make recipes more heart healthy. Check out these other tips for making a heart healthy meal. To trim the chicken, lay the chicken thighs on the cutting board, skin side up. Use a sharp knife to cut excess fat. Put the chicken, oregano, cumin, lime juice, salt, and pepper in a bowl and mix well. *Optional: place bowl in the refrigerator for a few hours, or overnight for increased flavor. Place chicken thighs on a baking sheet and pour excess marinade over the top. Bake for about 30 minutes until the juice of the chicken runs clear when cut and the skin is well browned.